Here are some recommended Unitarian Universalist resources. The official website of the Unitarian Universalist Association. There is a special section for newcomers and people who want to learn more about Unitarian Universalism. It also has good information on what is going on with the Association at the national level, particularly on social justice and current affairs. CLF is a UU congregation without walls or geographic boundaries, connecting people all over the world for spiritual growth, worship, learning, and mutual support. inSpirit offers books to support people of all faiths and seekers alike to engage with spiritual questions. Unitarian Universalists will find items that will help to nurture their faith, to connect with UU history, and to ground and enhance their work for social justice. inSpirit also offers a wide range of fair-trade gifts, as well as accessories proudly bearing the Unitarian Universalist Association and “Standing on the Side of Love” logos. 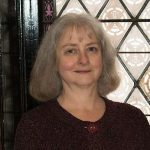 Beliefnet.com has a lively message board on Unitarian Universalist topics, feature articles written by Beliefnet.com staff, and basic resources on what Unitarian Universalism is. You can find the following recommended books about Unitarian Universalism in the Second Unitarian library, or you can purchase them through inSpirit: The UUA Book and Gift Shop. This is a common introductory book to Unitarian Universalism and has also been translated into Spanish. Buehrens and Church begin with the Principles and Purposes of Unitarian Universalism and make them come to life. One of the most complete introductions to Unitarian Universalism. The many contributors to this small book cover major topics of Unitarian Universalism including ministry, worship, religious education, social justice, and history. This is an updated version of the classic, Why I am a Unitarian Universalist. One of the most moving and compelling books on the Unitarian Universalist faith.